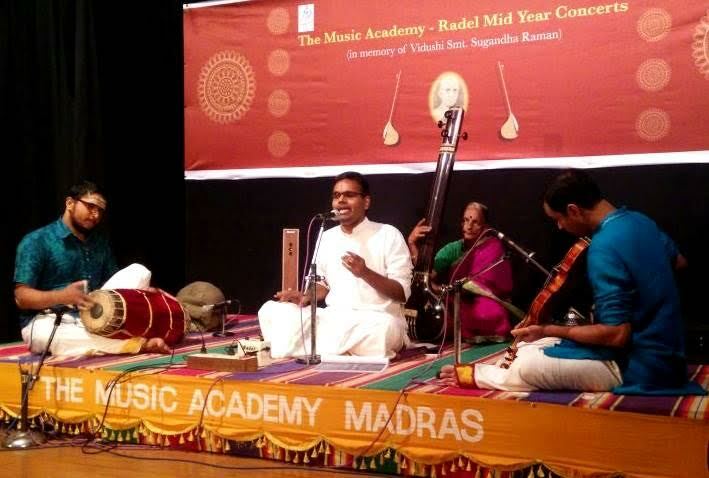 The 3 day “Music Academy-Radel Mid Year Concerts” were inaugurated today (June 1st). The concerts are conducted in the memory of well-known vocalist and vainika, Vidushi Smt. Sugandha Raman. Sri. N. Murali, President, Sri V. Srikanth, Secretary, The Music Academy and Sri. G. Raj Narayan, son of Smt. Sugandha Raman and Managing Director, Radel Musical Instruments were present during the inauguration. Concerts will be in the evening between 5.30 and 8.45pm at Kasturi Srinivasan Mini Hall.Young artists like Mandolin sisters - Sreeusha & Sireesha, Karthika Vaidyanathan, Vamsi Krishna, Srividhya and Sudha Iyer etc. will perform. The endowment concert is held mainly to encourage and appreciate talented young musicians. The program is on everyday till June 3rd. Entry is free all are welcome.